What are the best online slot sites? It’s always nice to have choices in life, isn’t it? That is abundantly the case with online slot gaming these days, where there must be hundreds (maybe even thousands) of sites vying for your attention. The Brits are renowned for their generous hospitality, and that is perfectly evident at the rather patriotically-named All British Casino. There are stacks of online slot games to enjoy here, from the latest releases to the all-time classics, and to welcome you into their family the All British Casino are even offering a welcome bonus of 100% on your first deposit and 100 free spins on a game of your choosing. For that quintessential British experience, this is the perfect online casino site. For some online slot aficionados, the key factor that separates the wheat from the chaff is the size and nature of the welcome promotion up for grabs. In which case, you will find few casinos as alluring as BetVictor. You won’t find many promos as generous as this, with a champagne package that features a 200% welcome bonus and 200 free spins. Alongside a huge library of slots you will also find table games, poker, bingo and a live casino channel; BetVictor are nothing if not versatile! Some slot gamers opt for style and others for substance when searching for their perfect online casino. But here’s a unique option: how about a platform that provides both!? LeoVegas is incredibly popular with UK players primarily because their site looks outstanding on both desktop and mobile devices, with the contemporary ‘app style’ feel a joy to behold. With more than 250 slot games available, LeoVegas have achieved that perfect ‘quality and quantity’ balance. When you have won the ‘Casino Operator of the Year’ trophy for three consecutive years at the Gaming Intelligence Awards, it is fair to say that you know a thing or two about delivering an exceptional online slot site. That’s exactly what Mr Green has brought to the party, and they continue to build on their solid product offering. As impressive is their outstanding payout rate across the site, which stands at a whopping 97.38%. For players who want to stretch their bankroll as far as possible, Mr Green is a fantastic option. 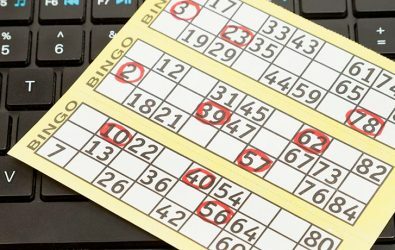 Which online bingo sites are the best? The cheeky chappies of UK & Ireland sports betting have spread their wings into slots and casino gaming as well, and it must be said it’s a look that suits them. There’s a welcome bonus worth up to £500 to start you off, plus a free tenner if you want to try their cavalcade of slot games without making a deposit. With slot titles supplied by leading software developers such as Playtech, IGT and Evolution Gaming, plus a dual wallet system that enables you to bet across slots, casino and sports with a single bankroll, Paddy Power are bringing a touch of Irish charm to online gaming. UK customers may have seen their extensive TV advertising campaigns featuring Verne Troyer, AKA Mini Me from the Austin Powers movies, but there is much more to this brand than gimmicky promotions. First off, there’s their welcome package that rewards gamers on their first, second, third and fourth deposits! That’s rewarding in an industry where, occasionally, newbies are handed a sign-up bonus and then left to their own devices. In rewarding loyalty, BGO gets a double thumbs-up. With regular free spins, cashback opportunities and reward points available, BGO Casino is the gift that keeps on giving. You certainly can’t accuse SpinIt of scrimping their customers – some 1200 slot games are available here! This includes 200+ that you can play on mobile devices too; surely the world’s largest mobile slot games library? You’ll find classic ‘fruit machine’ type slots sitting neatly alongside their more contemporary cousins, with video and 3D slots also available. And rather than penning deals with a couple of software houses, SpinIt have gone for a more wide-ranging approach that means you can access titles from the likes of NetEnt, Microgaming, Play ‘n Go and NYX Interactive all under one roof. With a slots payout rate of 97.32%, Casumo are infamous for being one of the more rewarding online casino sites out there. They describe themselves as the ‘world’s first adventure casino’, but don’t worry, you won’t need to change out of your pyjamas to play here. The reference to adventuring comes from the mission-based aspect of their gaming; complete missions, earn prizes! Their slots catalogue includes many of the finest games ever created, including Book of Ra, Mega Fortune, Dead or Alive, Starburst and many more, so there is literally hours of fun to be enjoyed at Casumo. Bet365 is so well respected in the field of sports betting that there’s little surprise to see them performing so admirably with their casino product too. One of the reasons for their popularity is how easy their site is to navigate, and it’s true that you will be able to find your favourite slot titles – sourced from the industry’s best no less – within a few clicks. The phrase ‘ay caramba’ is a Spanish term used to express surprise, but it surely won’t shock you to learn that Karamba is one of the most dynamic and progressive online slots sites around. There is fun vibe about the site, and this is a brand that rewards return visits in more ways than one. Not only will you benefit from enjoying the cool visuals, you will also earn loyalty points that you can exchange for rewards further down the line.